The supervisor of my machine learning PhD was Mike Bain at UNSW, Sydney. His PhD supervisor was Donald Michie, a friend and colleague of Alan Turing in the 1940s. Last weekend, Mike and I went to see Benedict Cumberbatch play Turing in The Imitation Game, released January 1 in Australia, and afterwards we headed for the bar and compared notes. Here’s the main storyline of the film in two points: 1. Alan Turing is a socially awkward mathematical genius who can’t get along with anyone. 2. At Bletchley Park, the site of UK’s secret code and cipher operations, Turing eventually prevails in his idea to build a machine to crack Nazi Germany’s Enigma machine, and wins the war. I don’t really mind deviations from reality to tell a good story, but I think there are important things to learn in the gaps of this film. So, here are two differences that reveal lessons about innovation, design and collaboration. 1. 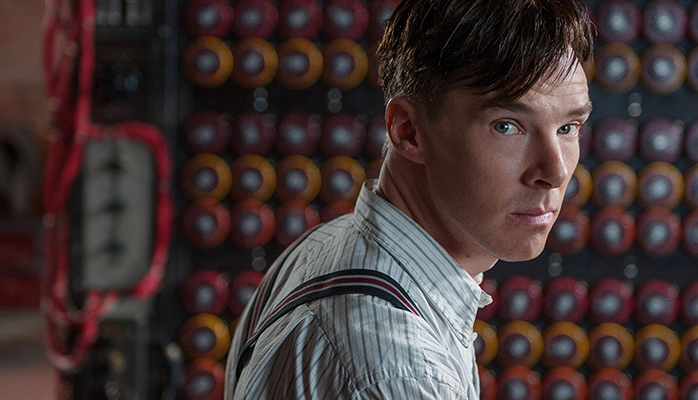 Alan Turing was more awkward than even the film portrays, and it cramped his technical work. As Michie told Mike some years ago, Turing just never engaged in small talk, but what I find most interesting is how such a manner can interfere with technical work. I’ve always rejected the idea that technical work can be independent of human factors. The Imitation Game makes it clear that Turing was doomed for failure without the assistance of a team, but more than that, consider these two stories of technical failure at the micro level. 2. Decryption of Enigma was actually highly collaborative, and never final. In the film, Enigma is cracked after a pub discussion one night, and Turing’s team of a mere five cryptographers emerge victorious, their place in history assured. In reality, the scale of the operation was far greater and far more difficult. A change in Enigma design in February 1942 put the Atlantic into darkness, but careless mistakes in German encryption made decryption possible again in December 1942. It was only in the last week of the war that the German navy achieved cipher security, all too late. If you’ve never come across Alan Turing before, he was Time Magazine’s computer scientist of the 20th century. His 1936 logic for a “universal computing machine” was the remarkable precursor of the modern computer, and his wartime discussions with Jack Good and Donald Michie gave birth to artificial intelligence and machine learning. By all means go and see The Imitation Game, but don’t stop there. Make time to read more about one of the most important minds of modernity. Page references: Andrew Hodges (1992), Alan Turing: The Engima, Vintage edition.